This is surely a delicate ring that will grace the finger with an air of royalty. 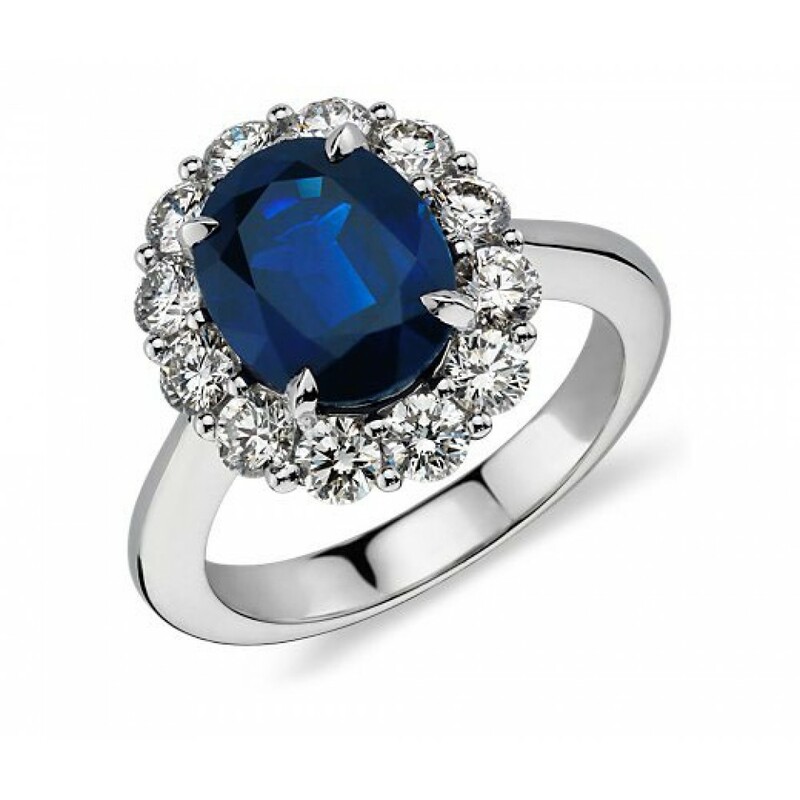 A perfectly round cut sapphire is cradled in the middle of several brilliant cut diamonds prong set, which add extra detail and sparkle. 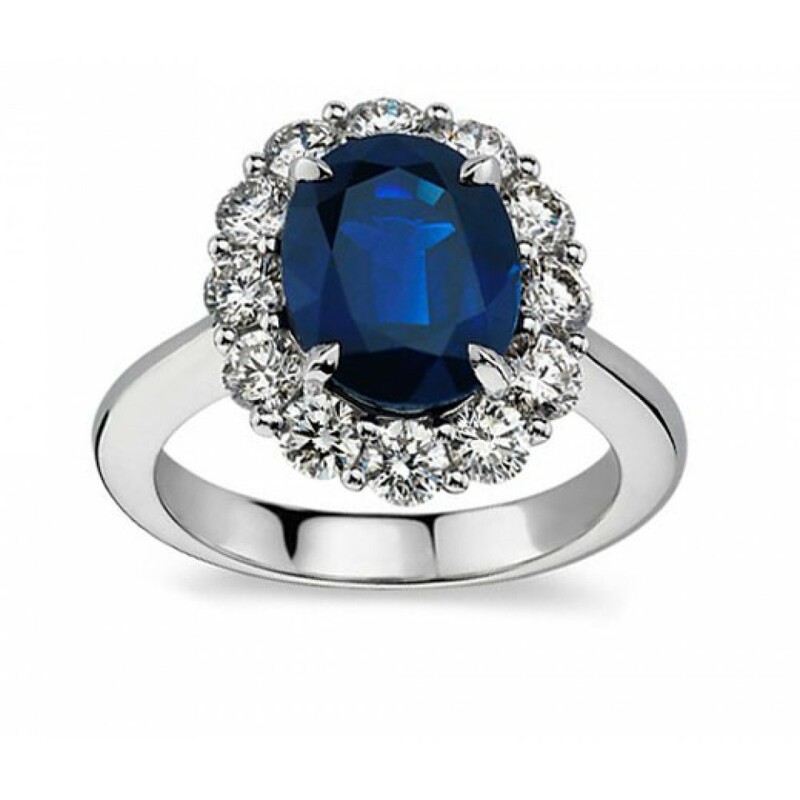 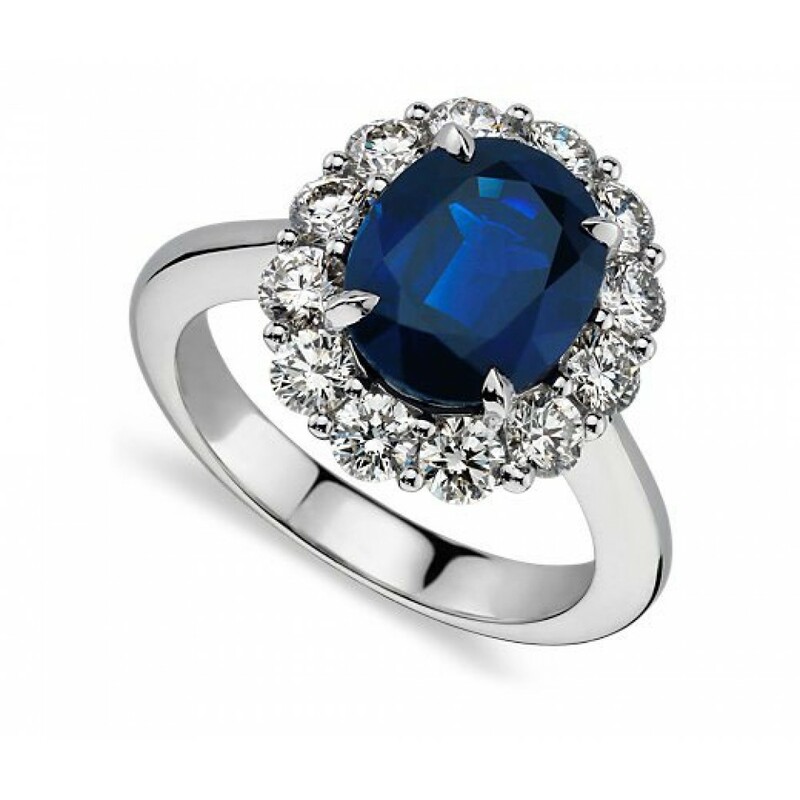 This Princess Diana Inspired Oval Sapphire Engagement Ring is a sight to behold, especially when paired with the matching earrings. 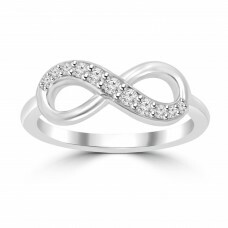 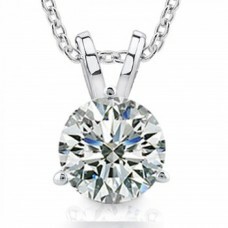 Wear it as an engagement ring, or right hand ring, or give it as a gift to that special someone.